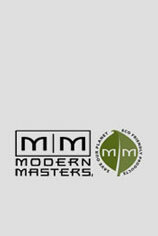 Modern Masters combined the ancient art of patinating with state of the art painting technique and created the Metal Effects Decorative Painting System. This entire system allows to create on any surface a decorative finish of oxidized metal. Trowel applied spatula that shimmers with pearl and glitter particles. It helps creating a noble gloss without sanding or polishing. To bardzo ciekawa gama produktów pozwalająca kreować nietypowe metaliczne efekty na powierzchni ściany i nie tylko. Bardzo prosta metoda aplikacji. Elegant alternative for acrylic or latex paints. Wide range of metallic and pearl paints is complemented with transparent glazes. It is a perfect tool that will make your project exceptional. Unique paint that glows in the dark or under ultraviolet light. It is very useful when creating entertainment centers.